In advance of a community conversation at the University of Massachusetts Catholic Newman Center on Saturday, October 4, 2014 from 2:00pm – 4:00pm, this article is being shared to help us think about “what would Francis do” about climate change? In his Summa Theologiae, Thomas Aquinas distinguishes between two facets of human intellect: “speculative intellect which directs what it apprehends, not to operation, but to the consideration of truth; while the practical intellect is that which directs what it apprehends to operation” (I, q. 79, a. 11). Although each aspect has unique characteristics, Aquinas insists that the speculative and the practical “are not distinct powers” but together constitute the fullness of human intellect (I, q. 79, a. 11, s.c.). In other words, speculation and application are two sides of the same coin. For political theologians, it is often a challenge to translate abstract speculation into concrete political advocacy. Although there are likely many reasons for this reality, it is a situation with which we should not be satisfied. It is always necessary, therefore, to identify and take action in situations where a direct connection between the speculative and the practical exists. One such opportunity arose earlier this summer with respect to climate change mitigation, and political theologians should now advocate around the proposed policy. On June 2, 2014, the U.S. Environmental Protection Agency (EPA) proposed the Clean Power Plan by which to reduce carbon pollution from existing power plants. The EPA is accepting public comments about the Plan until mid-October, and Republicans in Congress are working to block, interfere with, and/or otherwise eviscerate the Agency’s proposed carbon pollution standards. The Catholic Church has explicitly and repeatedly recognized climate change as a moral issue that threatens to compromise the commitments of Catholic Social Teaching (to learn more, visit the Catholic Climate Covenant). As such, the Church continues to call on persons of faith and goodwill to address this issue through both individual efforts and coordinated public policies. Shortly before the release of the Clean Power Plan, Archbishop Thomas Wenski of Miami wrote a letter to the Environmental Protection Agency on behalf of the United States Conference of Catholic Bishops (USCCB) as chair of its Committee on Domestic Justice and Human Development. There, the Archbishop highlighted the USCCB’s awareness that “the best evidence indicates that power plants are the largest stationary source of carbon emissions in the United States, and a major contributor to climate change” (indeed, carbon dioxide is the most pervasive greenhouse gas, and fossil fuel power plants—which account for 38% of U.S. carbon pollution—are the largest collective domestic source of this pollution). In light of the Clean Power Plan and the Catholic bishops’ advocacy around a national carbon pollution standard for existing power plants, political theologians have a distinct opportunity to practically engage in an active policy debate. Although their contributions to the discussion might take several forms, there are two immediate steps that political theologians are able to take. First, political theologians can submit faith-based public comments to the EPA. 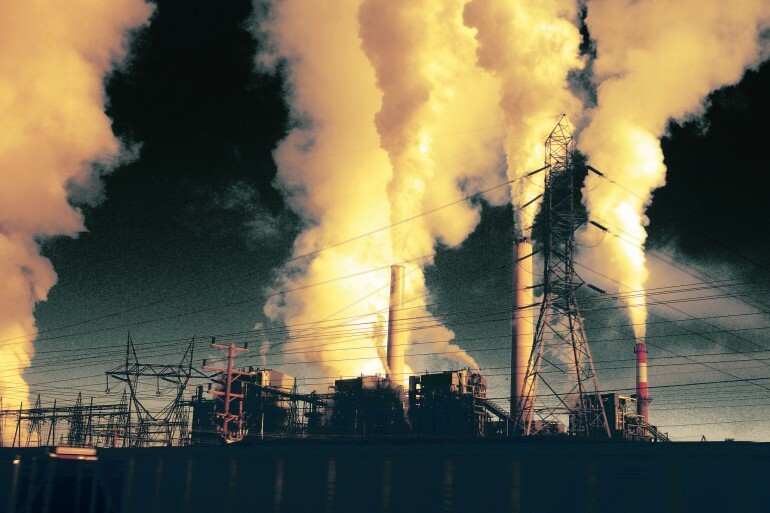 In addition, political theologians can contact their elected officials and urge them to support a national carbon pollution standard for existing power plants that is animated by Catholic teaching. In his 1990 World Day of Peace Message, St. John Paul II recognized that “the ecological crisis is a moral issue” (emphasis in original). Guided by this awareness, Pope Emeritus Benedict XVI asserted in his encyclical Caritas in veritate that “the Church has a responsibility towards creation and she must assert this responsibility in the public sphere” (# 51). The current debate around the Clean Power Plan is a unique opportunity within which to bring Christian theology to bear on an active policy debate. As such, I urge political theologians to, at the very least, submit faith-based comments about the proposal to the EPA and let their elected officials know that they support a national carbon pollution standard guided by Catholic teaching. Daniel R. DiLeo is a Flatley Fellow and Ph.D. student in theological ethics at Boston College. His interests lie at the intersection of Catholic social thought, virtue ethics, political theology, environmental ethics and economic justice. He is especially focused on the issue of climate change and discernment of how Catholic theological ethics can contribute to deliberations about national climate policy. He has worked as Project Manager for the Catholic Climate Covenant since 2009, and was also a Mission Intern at the Catholic Health Association from 2009-2011. He is also a regular contributor to Millennial Journal.